Artisan Stoneworks, a high-end stone contracting company, was being awarded almost all of their jobs through word of mouth from industry professionals and customers when they approached Linx to design and build them a website. With no online presence, Linx knew Artisan was not only in need of a website, but a full marketing strategy from which an online web platform and complete marketing plan could be derived. In order to do so, Linx proposed a combination of key strategic tools, a website program, as well as a collection of go-to market strategies and programs that would drive customers to the new website and ultimately grow Artisan’s business. Linx utilized our Segmentation Matrix, Messaging Heirarchy, and Branded Services strategic tools. This helped define Artisan’s target markets and how to best serve them, core messaging and value propositions, using these as the fundamental elements to create strategies around key markets and how to develop programs within them. Next, Linx developed a website design that display beautiful stone work projects Artisan produced, along with a selection of drive-to-web vehicles such as social media, e-mail programs, marketing videos, and content marketing. 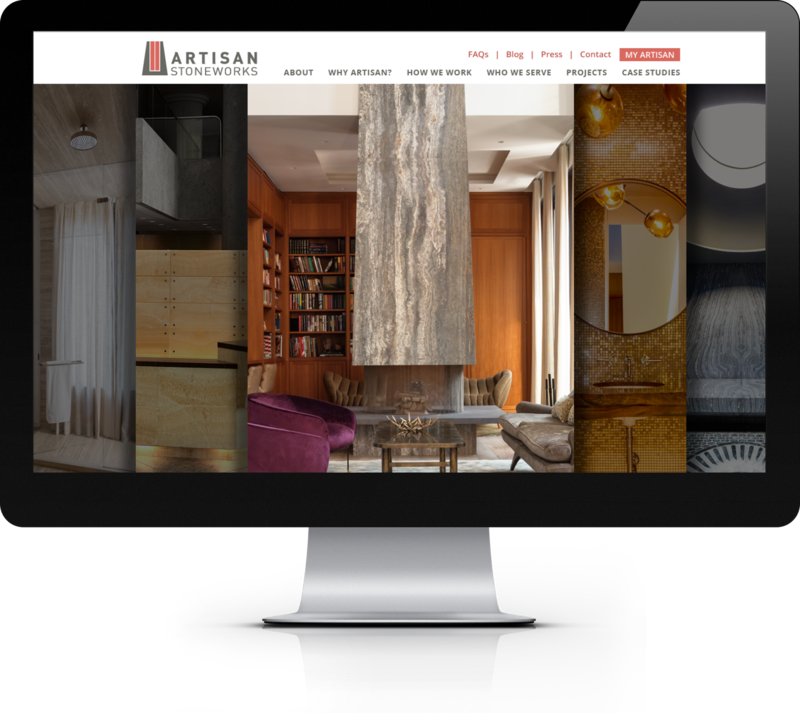 Linx delivered Artisan a strategically designed website that reflected the high-luxury feel and market for stonework in prestige commercial environments, as well as residences of high net worth individuals.